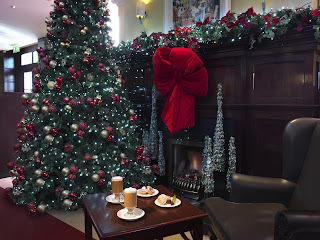 Bewley's Hotels Blog: Bewley's Hotels - Hotels in Dublin Open for Christmas! Bewley's Hotels - Hotels in Dublin Open for Christmas! For Christmas 2014 read our latest post. Planning on spending your Christmas in Dublin & looking for the perfect venue? Bewley's Hotel Ballsbridge and Bewley's Hotel Dublin Airport will both be open this Christmas! Bewley's Hotel Ballsbridge is the perfect hotel to celebrate Christmas, the warm and welcoming hotel is renowned for its great Christmas charm and enjoyable setting throughout the festive season. Includes: 3 nights accommodation, breakfast, traditional Christmas lunch and dinner on 2 nights! Facebook Competition - WE ARE OPEN FOR CHRISTMAS!